Media Release ­— SPX is pleased to announce Derf, Jessica Abel (Saturday only) and Ted Rall as guests at SPX 2015. This is in addition to the previously announced guests Kate Beaton, Luke Pearson, Noelle Stevenson, Michael DeForge, Gemma Correll, Noah Van Sciver, Matt Bors, Lilli Carré, Theo Ellsworth, C. Spike Trotman, Jennifer Hayden, Stuart Immonen, Scott McCloud, Bill Griffith and Kathryn Immonen. SPX 2015 takes place on Saturday and Sunday, September 19-20, and will have over 650 creators, 280 exhibitor tables and 22 programming slots to entertain, enlighten and introduce attendees to the amazing world of independent and small press comics. Making its debut at SPX will be the latest autobiographical graphic novel by Derf, Trashed from Abrams Books. Derf’s squiggly, wonderfully exaggerated cartoon style is used to tell the story of what it was like to be a twenty-something garbage man, replete with all the losers and idiosyncratic townsfolk he had to deal with while collecting the trash. 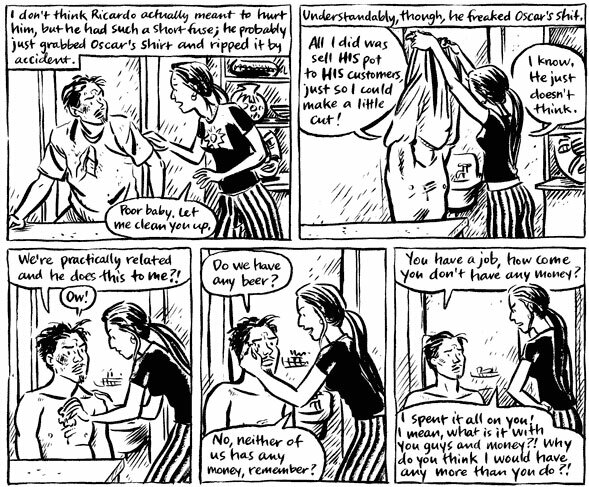 His previous graphic novel My Friend Dahmer won the Prix Révélation at Angoulême in 2014, and was listed as one of Time Magazine’s Top 5 Non-Fiction books of 2012. Derf’s long running alt-weekly strip, The City, which he ended in 2014 after 25 years, led him to win the prestigious Robert F. Kennedy Journalism Award. Merging the worlds of comics and verbal podcasts/radio, Jessica Abel interviewed the creators of such shows as This American Life, Radiolab and Snap Judgement,for her latest book, Out on the Wire: The Storytelling Secrets of the New Masters of Radio from Broadway Books. The book uses the visual world of comics to uncover the narrative techniques now being used by the best journalists and storytellers in the world of podcasts and radio. Ms. Abel is a long time teacher of comics, having written two well-known and often used books on the subject, Mastering Comics and Drawing Words & Pictures. Her graphic novel, La Perdida, won two Harvey Awards and was Comic of the Year at Time Magazine. Ms. Abel will only be at SPX on Saturday, September 19th. 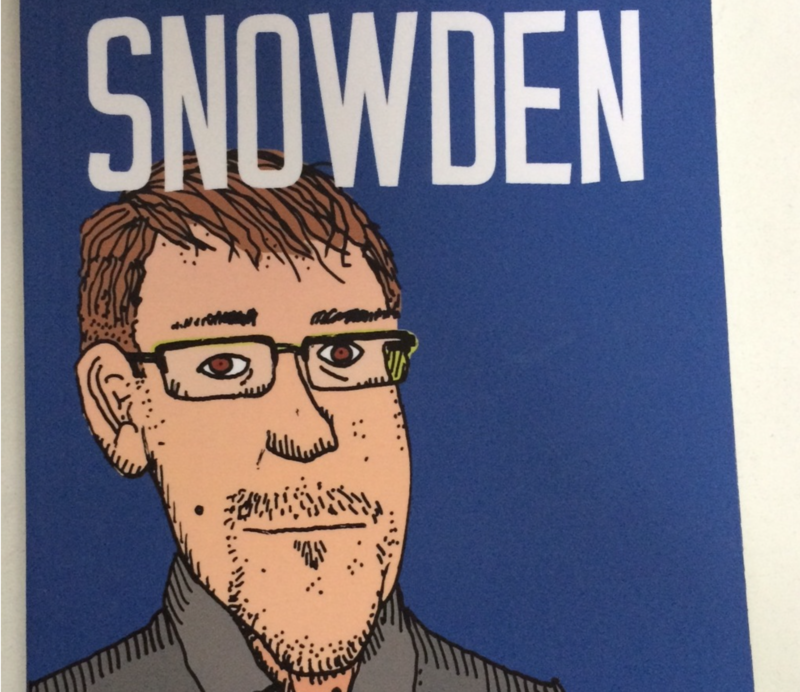 An enfant terrible of the political cartoon world, Ted Rall’s latest work is appropriately about the enfant terrible of the surveillance world, Eric Snowden, who was interviewed extensively for this book. In his latest graphic novel, Snowden from Seven Stories Press, he talks about how Snowden and other whistleblowers revealed the full extent and impact of the surveillance being performed by the NSA and other government agencies. Mr. Rall is a long time political cartoonist, comic’s journalist and writer, having won the Robert F. Kennedy Journalism Award and the James Aronson Award for Social Justice, as well as being a finalist for the Pulitzer Prize in Editorial Cartooning.